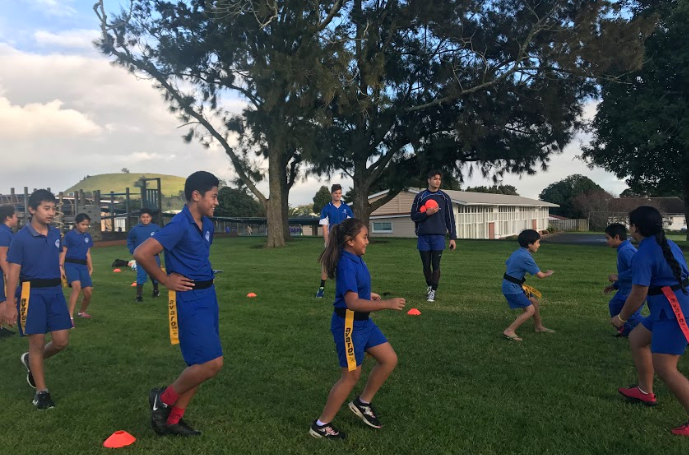 Today some St.Kents boys came to Raupotaka to teach rooms 12, 10,9 and some of room 7. We all had to split up into 3 groups. My group we had 2 boys from St.Kents their names where Caleb and Pasie. My group was learning about touch we used tags in the games. We had fun playing with the St.Kents boys and had fun working together.